It's been amazing fun trying to do Ina Fried's job this week, but all good things must end. Login will take a summer break next week and return, with Ina back at the helm, on Monday, Aug. 20. We'll still be tending the Axios stream. Be well and stay safe till then! 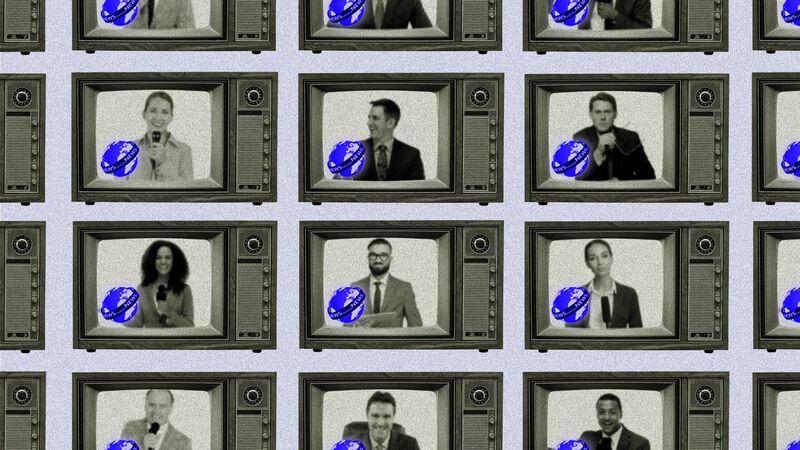 Changes in decades-old broadcasting rules, combined with new types of competition in news and entertainment, are creating a drama-filled free-for-all as local U.S. broadcasters consolidate, Axios' Sara Fischer reports. Why it matters: Consolidation will inevitably mean that fewer voices reach more people, but some in the industry argue it's the only way local broadcasting will be able to compete with big tech. Be smart: Tribune Media announced Thursday that it has terminated its $3.9 billion merger agreement with Sinclair Broadcasting and that it has filed a lawsuit for breach of contract. The merger would have created the largest local broadcaster in America, but its collapse doesn't mean the industry will stop consolidating. The back story: Many local broadcasters cite one key reason for their consolidation: the FCC's landmark decision last year to roll back old regulations that limited the ability of TV companies to own properties in the same market. What's complicating many of these deals, however, is that the FCC has yet to determine the new limits on concentration of TV station ownership. Right now, television groups can only own (among all of their stations in one market) 39% of that market's ad revenue, a number that was arbitrarily set decades ago. The ownership rule will impact the entire local TV landscape, which is currently dominated by roughly a dozen companies. The latest: Sinclair and Tribune are back to the drawing board. Sinclair says it will likely pursue other deals to acquire more local stations, but analysts and industry experts say that its poor behavior could make it difficult to pursue other acquisitions. Tribune will likely sell its stations to another local broadcaster, but its CEO said in an email to employees obtained by Axios that it is focusing on remaining "one of the preeminent broadcasting companies in America." Go deeper: Read Sara's full story. The founder of Gab, a social network favored by some on the far right, said it had deleted two anti-Semitic posts from a user after Microsoft told it Thursday that the posts violated the terms of service for Microsoft's Azure cloud hosting, Axios' David McCabe reports. The big picture: Online platforms like Facebook and YouTube have faced a slew of controversies over removing users who engage in hate speech. But the hosts and service providers for individual websites and software systems can crack down, too. The details: The posts in question come from Patrick Little, a neo-Nazi who attempted a Senate run in California, according to a screenshot of a message from Microsoft that Gab posted. Gab founder Andrew Torba said Thursday night on the platform that after Little had promised to delete the posts, and then hadn't done so, the "took action and removed both posts." The move came after Microsoft had told the site it would pull its cloud hosting services if Gab didn't address the situation. "Microsoft received a complaint about specific posts on Gab.ai that advocate ‘ritual death by torture’ and the ‘complete eradication’ of all Jews," the company said in a statement. "After an initial review, we have concluded that this content incites violence, is not protected by the First Amendment, and violates Microsoft Azure’s acceptable use policy." Gab had 48 hours from when it was notified to "remove this content or respond to Microsoft." What they said: "Gab.ai is of course free to choose otherwise and work with another cloud service provider or host this content itself," Microsoft said. "If it wishes to make that choice, we will provide it with a reasonable amount of time, in this instance longer than 48 hours, to transition its content elsewhere before its access to Azure is terminated." The backdrop: Many digital platforms have recently banned Alex Jones' InfoWars, which has promoted conspiracy theories for years. Gab itself was started by far-right users unhappy with content moderation and user bans on Twitter and Facebook. Go deeper: Read David's full story. The Defense Department announced Thursday that it’s making the Defense Innovation Unit Experimental — its unit in charge of starting pilot programs with Silicon Valley tech companies — a permanent fixture, Axios' Kia Kokalitcheva reports. Why it matters: Some tech companies are reckoning with their military relationships, which sometimes raise questions among progressive-leaning tech workforces. That’s not fazing the Pentagon — and that means these controversies are likely to multiply. The back story: A brainchild of then-Secretary of Defense Ash Carter, the unit was first created in 2015 and rebooted the following year with an additional office in Boston (and later Austin and DC, too), new leadership and reporting structure. Carter said he moved to have the unit report directly to him in part to make it more speedy and agile to better cater to Silicon Valley’s tech culture. DIUx continued to face some challenges. Even with the changes, some tech entrepreneurs remained frustrated with the slow pace, and a congressional subcommittee wanted more oversight over the unit's spending. The bigger picture: The unit is only one of a number of defense and intelligence outposts in Silicon Valley aimed at forging relationships with the local industry. Go deeper: Read Kia's full story. 4. Ericsson's new 5G push in the U.S.
Ericsson, the global phone-tech giant based in Sweden, announced Friday that it intends to boost its investment in U.S. deployment of 5G technology and domestic manufacturing of 5G-related products. Why it matters: Every corner of the mobile industry is gearing up for 5G, the next generation of cellphone tech expected to speed the introduction of new applications in the "internet of things" and smart cities markets. Ericsson says it will begin manufacturing 5G radios in the U.S. before the end of 2018. The company will also make new U.S.-based investments in hardware and software R&D. Between the lines: Cybersecurity fears about China-based manufacturers are so heated right now that any major player with a different geographical pedigree will try to seize the moment. Ericsson may see an opening thanks to U.S. concerns over security questions raised about its Chinese competition, like Huawei. Apple veteran Doug Field, who left his role at Tesla overseeing Model 3 production earlier this year, has returned to Apple. Daring Fireball's John Gruber says Field is working on Apple's Project Titan automobile project. As Dropbox released quarterly earnings, it announced that its chief operating officer, Dennis Woodside, was departing. Dropbox also promoted Yamini Rangan to chief customer officer and Lin-Hua Wu to VP of communications. If you want to understand the relationship between software development practices and election security, and have a laugh at the same time, you can't do better than this XKCD comic. Happy Friday and thanks for reading — hit reply for feedback and news tips. We'll see you again a week from Monday!